The first thought I had when I heard that John Peel had died was that it was like your favourite footballer, favourite musician, favourite comedian and favourite uncle all dying at the same time. 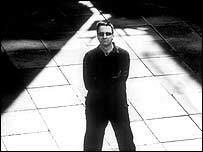 I thought John was going to live forever, for as long as there was great, and not so great, obscure new music to play, for as long as there were products that needed his voice to sell them. And for as long as he could claim that Teenage Kicks was his favourite record without losing any sense of dignity, which in his case would be until he was 95. John seemed to have been born in a leap year, so that he only had a birthday every four years, making him even now only 16. I thought John was going to live for as long as we needed him, as long as we needed his sanity, integrity, wit, love of music and love. I thought he was forever young, even as he sulked and grumped and sounded like life was one huge practical joke only made bearable by the ever-changing monotony of The Fall; young at heart even as he was greying and balding and always 17 years older than me. I thought he was going to live as long as it took for everyone to catch up with his understanding of new music. John lasted the longest at Radio 1, and so you thought he would last the longest at life. He hadn't even started, surely. Other disc jockeys got sillier and sadder and more and more removed from any interest in music. They become irrelevant. Just by being who he was, playing the music he liked as he heard it, John got more and more relevant. He became more and more a fixture in British life, someone you heard every day, someone you thought about all the time, because he was the perfect example of how to play the game of life, the game of fame, the game of being the best at whatever it is you do. All of it while making it seem so easy, so natural. He was so lacking airs and graces, so uncorrupted, so reliable, so vibrant. I thought he would think what I was writing was too sentimental and gooey. The thing is, I don't think there is anyone interested in music, or broadcasting, or the splendid absurdity of life, who doesn't owe John Peel something. I might have been ready for this kind of news in 30 years time, but not now. 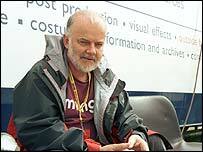 There was something I always wanted to say to John Peel but never got round to saying. Something I wanted to say to him because without his voice, his taste, and his curiosity, I would never have discovered the music I discovered, and developed such a love for the strange, the dark and the beautiful. He was such a down to earth man, so of the moment, there was never the time, and, anyway, he would be embarrassed. I just always thought there was plenty of time. I would get round to it one day. Well, as a kind of dour, cosmic joke he might almost have appreciated, it turns out there is no time, there is no one day. I have to take this opportunity to write those words that I wanted to say to his face: Thank you.